In Spanish director Fernando León De Aranoa’s remarkable A Perfect Day a group of aid workers tries to resolve a crisis in an armed conﬂict zone: Sophie is a newcomer, she wants to help; Mambrú has seen it all and wants to go home; Katya once wanted Mambrú; Damir wants the war to end, and B doesn’t know what he wants. Humour, drama, emotion, routine, danger, hope: it all ﬁts in a perfect day. 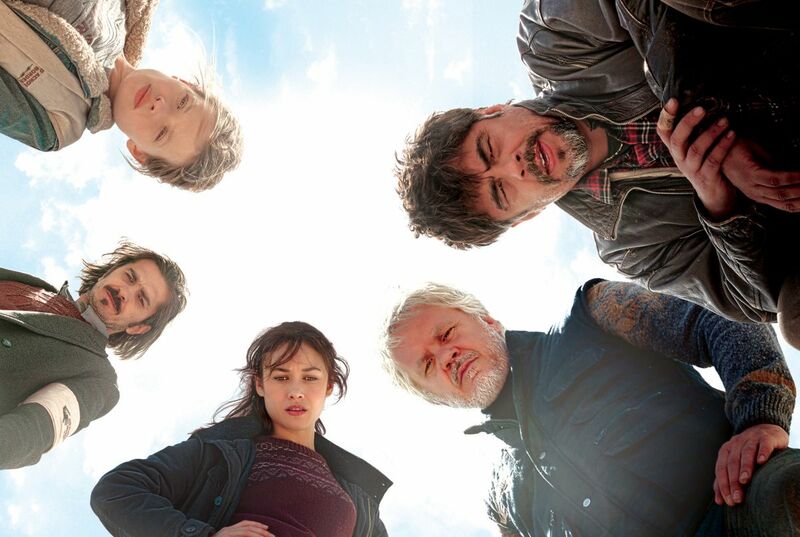 From left to right: Sophie (Mélanie Thierry) is a newcomer, she wants to help; Damir (Fedja Stukan) wants the war to end; Katya (Olga Kurylenko) once wanted Mambrú; B (Tim Robbins) doesn’t know what he wants, and Mambrú (Benicio Del Toro) has seen it all and wants to go home. A Perfect Day was written by De Aranoa in collaboration with Diego Farias Based on the novel “Dejarse llover” by Paula Farias. Fernando León de Aranoa is a screenwriter and ﬁlm director. After a long career as a screenwriter, he directed his ﬁrst feature ﬁlm, FAMILIA (1996), which won the Spanish Film Academy Goya for Best New Director. Later came Barrio (1998), Mondays In The Sun (2002), Princesas (2005) and Amador (2010). This group of ﬁlms has won twelve Goya awards, ﬁve of them for Best Director and Screenwriter. They have also won the Golden Shell for Best Film at the San Sebastian Film Festival and the Silver Shell for Best Director, as well as three Fipresci Critics’ Choice Awards, an Ariel from the Mexican Film Academy, and the Luis Buñuel Award for Best Iberoamerican Film. Festivals in Valladolid, Havana, Los Angeles, Valparaíso, Gramados, Guadalajara (Mexico), Houston, Miami and New York have awarded his works, which have premiered frequently in the Berlin Film Festival and at the Sundance Independent Film Festival. As a documentary ﬁlmmaker, he has made Izbieglize (Refugiados, 1995), Caminantes (2001), Buenas Noches, Ouma (segment of the collection of short ﬁlms Invisibles, Goya for Best Documentary, 2007) and he wrote the screenplay for La Espalda Del Mundo (1999). He’s also an artist and illustrator, and has written short stories and brief narrations. He has published the books Contra La Hipermetropía (Debate, 2010) and Aquí Yacen Dragones (Seix Barral, 2013). As a teacher, he collaborates frequently with the Sundance Institute and with the San Antonio de los Baños International Film School in workshops for screenwriters and directors. In 2004 he founded his own production company, Reposado. A Perfect Day (2015) is his sixth ﬁctional ﬁlm. This ﬁlm is about the people charged with the difﬁcult task of bringing order to chaos. And it portrays their daily attempts to wage a war within another war: against irrationality, against despondency. Against their immense desire to return home. Like them, this ﬁlm uses humor to distance itself: the wittiest comments, comedy at its wildest and grittiest, at its most desperate, often happens in the very midst of tragedy. Because there is no place on Earth where it is more necessary. And it portrays the routine of those who work in a place where nothing is routine. Their strengths and weaknesses, their mistakes, their good decisions, their minor misfortunes. Without ever losing sight of the fact that saving lives is not a heroic deed in itself. The heroism comes from trying. The ﬁlm takes place in a mountain area, actually a microcosm in which all the participants in the war are present: soldiers, civilians, blue helmets, journalists… Here we have a small group of aid workers who try to remove a cadaver from a well. It was thrown into the well to contaminate the water: a primitive but effective form of biological warfare. A problem apparently easy to solve. But the ﬁrst victim of any armed conﬂict is common sense, which could be why their cars drive back and forth along the narrow mountain roads like a maze, searching for a way out that may not even exist. An open, glowing maze under the endless Balkan sky: its immensity makes it even more claustrophobic. I’ve had the bird’s eye views of the two SUVs wandering across those mountain roads like guinea pigs in my head since I started writing the script. My ﬁlms have given me several opportunities to work alongside aid workers in conﬂict zones. The ﬁrst time was in February of 1995, during the Bosnian War. We recorded their work with two Betacams, covering the conﬂict. We came back with several dozen recorded tapes and a set of words, very few, which we frequently used to describe the war when people asked: Confusion, Irrationality, Babel, Labyrinth, Impotence. A few years ago I shot a documentary in northern Uganda with workers from Doctors Without Borders. In what you might call a bar we found 15 kilometers from the Sudan border, drinking a warm Nile Special beer, I heard our mission’s Head of Security mention Paula Farias’ novel “Dejarse llover” for the ﬁrst time. Paula is a doctor and an emergency coordinator for MSF, and also an author. She helps people in both ways. I was captivated by how simple the plot of her novel was, and by its depth. Because it talks about the cruelty of war, but it does so with a sense of humor and the absurd. In its pages, and also in my own memories of that impenetrable Balkan mountain labyrinth I crossed twenty years ago, I found the idea for this ﬁlm. A ﬁlm which avoids recurring war scenarios and focuses on a different war, the silent war, the one that goes beyond the fronts and peace accords, and endures in landmines and armed children, in the military checkpoints, in the simmering hate for one’s neighbors, and in a mother’s fear, which is three times as strong. On the border between Ethiopia and Somalia, an Australian logistics expert once explained to us that her job usually ﬁts into one of these three categories: Missionaries, Mercenaries, Missﬁts. People who just got there and want to save the world; people who have been there for years, humanitarian aid professionals; people who have been bouncing from war to war for so long that they no longer ﬁt in anywhere else. This ﬁlm portrays all three. They ﬁght a war within a war everyday. The war between the human will and discouragement, between common sense and irrationality. Hope and blessed humor against the heralds of tragedy. This ﬁlm’s only genre is life itself. Like a Russian doll, it’s a drama inside a comedy, inside a road movie, inside a war movie. But one thing is for sure. If it were music, it would be punk rock. Fast, direct, gritty, a race against the clock, this ﬁlm has no time to waste, no time to stop and think it over. It plays up ﬁeld, and wants to be like aid workers are: tough, resistant, intuitive, quick, direct. There’s no time here to reﬂect, to feel guilty or grieve. There’s no time for sympathy or crying. There’s only time to act. In relation to war, the ﬁlm emphasizes the absurd, the irrationality of the human being. The ﬁrst victim of any armed conﬂict is reason. That’s why irrationality might be the most fearsome enemy in the ﬁlm. Humor is inherent in drama, I can’t imagine one without the other. They complement each other, different sides of the same coin. Humanitarian aid workers don’t often appear in ﬁlms. Their social relevance doesn’t match their presence in ﬁction, which is almost non-existent. When I accompanied them on some of their missions and witnessed their routine, so intense, so un-routine, I felt that their story needed to be told. I didn’t want to show the epic part of their craft, the heroic moments in which they save lives. I wanted to show their dayto-day. Because to me heroism, that which is truly epic, is exactly that: simply being there, trying. We shot in areas high in the mountains, places that are hard to access. It was a difﬁcult shoot, very physically demanding on everyone, the crew and actors. But their collective effort is visible in the ﬁlm: humanitarian work is anything but comfortable. The climate also changes drastically in higher places, which made our job even harder. But we had a great crew, almost entirely Spanish, and very committed to the ﬁlm. Their professionalism and talent are visible throughout. Along with Alex Catalán, the director of photography, we identiﬁed and avoided the temptation to recreate a war landscape that was gray, monochrome, stereotypical. We didn’t want to make a gloomy ﬁlm, rather an energetic one, ﬁlled with strength, which is how we perceive humanitarian work. We shot in the spring, so nature’s enormous beauty contrasts violently with the dramatic war context. Beautiful open landscapes thus turn into closed, oppressive ones. The ﬁlm, like the single day in which it occurs, becomes progressively darker, more claustrophobic. Later the sun rises again and it recovers, with the light of the new day, the energy it needs. This is an ensemble ﬁlm, it was very common to have several actors on the set on any given day. Not having been able to rehearse with them previously presented difﬁculties, but it was also a challenge I faced with a solid base: the enormous individual talent of each one of them. When shooting a ﬁlm, each actor, actually each member of the crew, has their own frequency. My obligation as a director is to ﬁnd it, to establish a work space with each one of them, which isn’t always necessarily the same. This ﬁlm also passes from incredibly brutal humor to drama and back again in a split second. We needed a great deal of precision and restraint to achieve that. The action takes place over the course of a single day, which is why the growth and emotional continuity of the characters had to be exact. I think that’s what my job is about: simply holding the map and reminding the actors of exactly in which moment we are. English is the language spoken in wars. Humanitarian workers, journalists, blue helmets… are of all nationalities and they communicate in English, also with the local population. English in every accent. The teams are like little towers of Babel, which can sometimes add confusion to confusion. Changing from one language to another is therefore natural, and enriches the scenes. I proposed the role of Mambrú to Benicio del Toro. He’s the centerpiece, the one responsible for this group of aid workers. He’s the one who maintains the balance of the group, or at least tries to. He read the screenplay and was attracted to the character, the story, and I think also the tone. Working with him means working with a creative partner. The hours and hours of work were nothing to Benicio, his commitment to the ﬁlm and his involvement were absolute. After Benicio, Tim Robbins joined the cast, playing B, a veteran logistics expert. From the ﬁrst time he read the script he knew what his character brings to the group: experience, conﬁdence, but also tenderness, a sense of humor and that certain level of wilderness necessary to survive during wartime. B can handle the craziness of war because he understands it well. Sophie is the group’s water puriﬁcation expert. I wanted this character to have something natural about her, pure, transparent, like water itself: still uncorrupted. And Sophie is also the group’s newest member. I found all of that in Mélanie Thierry’s physique, her straightforward eyes, clean, but especially in her truth, in her enormous strength as an actress. Olga Kurylenko plays Katya, a strong woman, sharp, intelligent, but also wounded. Her armor actually hides enormous fragility. Olga is a brave actress, who creates a character ﬁlled with nuance, caustic, with a sense of humor. Her presence brings even more conﬂict to the story. Fedja Stukan was a wonderful discovery for me. Damir, his character, is the group’s interpreter, a local worker. Fedja brings him to life with elegance and dignity, with an exquisite sense of comedy. He keeps an exact distance from tragedy, because he’s used to it. Damir is also the group’s weakest link: his life there is worth less than the others. He’s a character who represents dignity, pride and the self-composure of the Balkan people during the tragic years of the war. All of the actors from the Balkans did an excellent job. There are scenes with Bosnian, Serbian and Croatian actors sharing a single shot, on the same side, that of ﬁction itself: collaborating, joking with each other, sharing a beer after work. We owe it all to our casting director in Bosnia, Timka Gráhic. 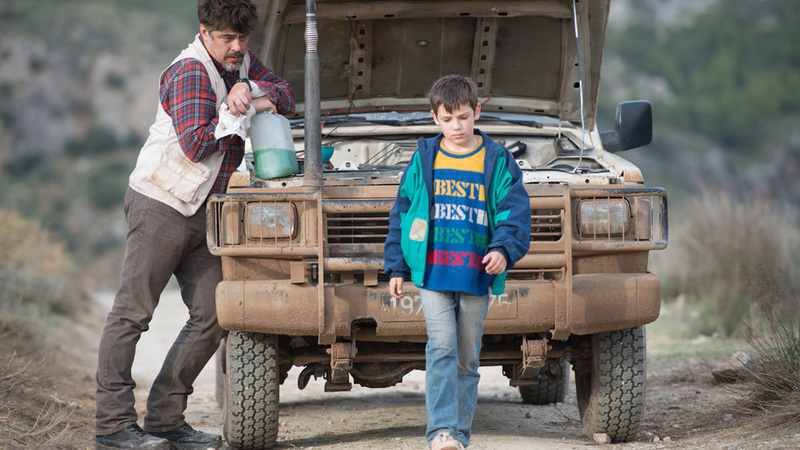 As well as the precious discovery of Eldar Residovic, the nine-year-old boy who plays little Nikola in the ﬁlm: his innocence, his tenderness, but also his determination, his forced entry into adulthood. 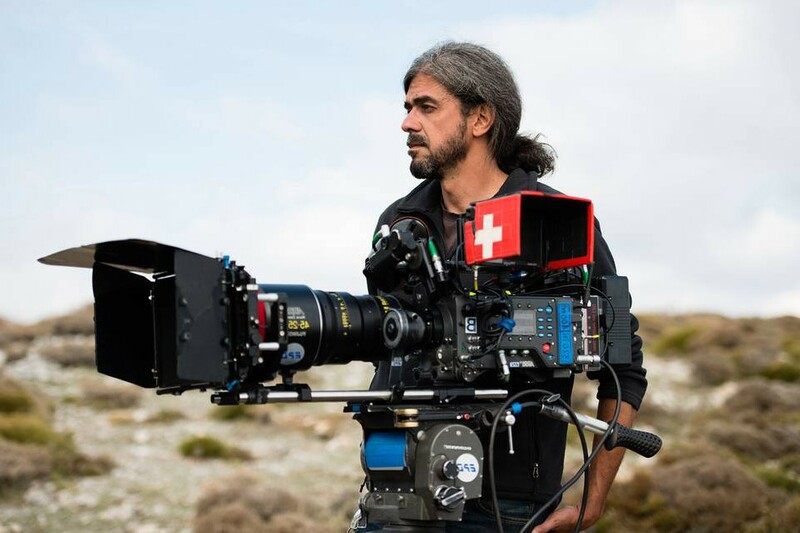 Sergi López, in only a few days working with Benicio del Toro, easily transmits the complicity and trust you ﬁnd in people who have several wars behind them. All the characters are strong, each in their own way. This is a ﬁlm that advances in their hands and is built upon their bond, their trials and tribulations, the subtle fabric of the relationships between a group of people working together in an extreme context that takes every situation to the limit.